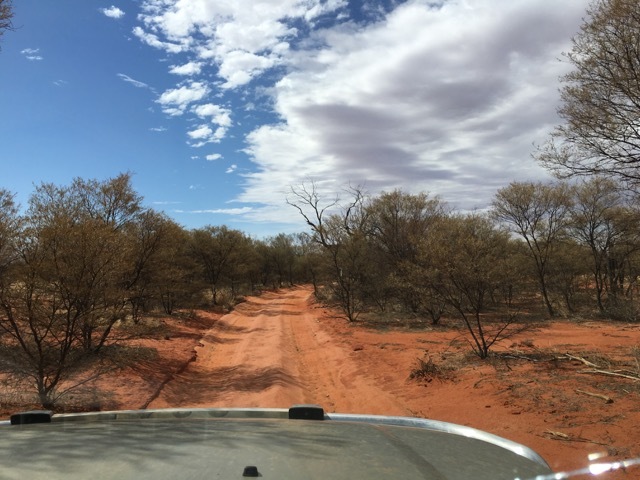 Kulgera is on the Stuart Hwy and is 20kms north of the SA border in the Northern Territory its a Servo, Pub and campground and thats it. I checked in unhitched the van and told them at the bar if I wasn’t back by 6pm come looking for me. 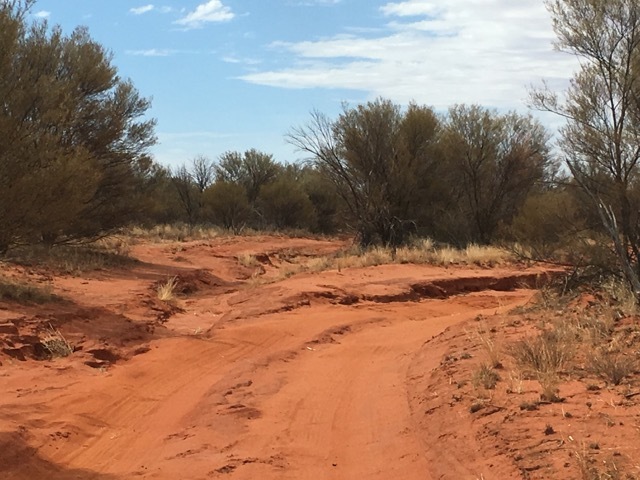 From here its 120kms of dirt road from Kulgera towards Finke then another 14 kms of offroad track into The Lambert gravitational centre. There is no phone reception and halfway in on this rough track I actually questioned myself thinking what the hell are you doing your in the middle of nowhere no phone reception just me and my trusty dog anyone could be in here thats one reason why I haven’t watched Wolf Creek and I usually don’t tell my Mum what I’m up to until after I’ve done it!!!! The geographical co-ordinates for the Lambert gravitational centre were determined in 1988, as a Bicentennial project. 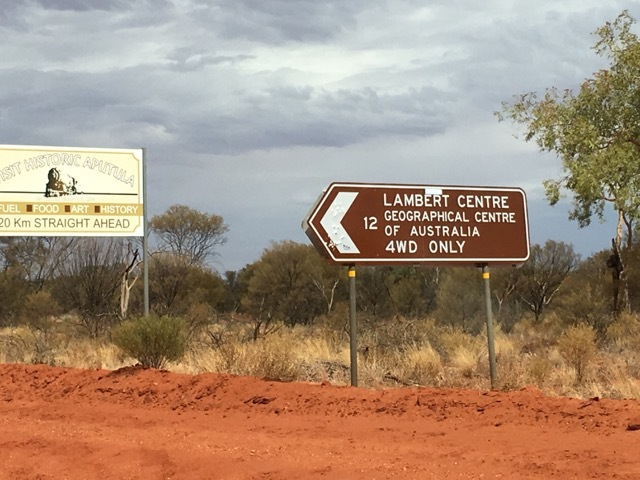 Named in honour of Dr. Bruce P Lambert, a former Director of National Mapping, for his achievements in the national survey, levelling and mapping of the continent. Lambert Gravitational Centre is calculated inside of 10 m and the monument is a miniature of the flag pole atop the Commonwealth Parliament House, Canberra. There is a visitors book which is inside an old metal jerry can you can also camp in here and there are toilets as well. It was quite an experience and an odd feeling being here and when we went there it was just me and Miss Elly and the quiet. I would love to go back and camp here they say the stars are amazing to see from here.